Customer data is one of the most valuable pieces of information a company can have. The more you know about your contacts and customers, the better you will be able to address and solve the problems they have. Happy customers equals more customers and more business, so it is extremely beneficial to develop data from many different sources. Email blasts can be a great way to not only communicate with your contacts and customers, but also collect valuable data from them. By taking a look at their actions after an email send, you can learn what they like, what they aren’t interested in, follow up for further education and sales, and more! This is sometimes jokingly referred to as the metric that tells you how good your subject line is. While that is somewhat true, it does still give you some information on your contacts and the people who received the email. You can learn who is actually even opening the emails you send and what type of emails/subjects cause them to click to open. Depending on the email system you use, you can also tell what actions your readers took in the email. All of this can be used to tell you what is working and what isn’t working when it comes to getting your emails opened by your contacts. The click through rate tells you about not just the contacts who opened the email, but who was interested enough to click on the information and follow it to your website. These contacts are important to you because they are extremely invested in your product. If these contacts do not take the next step you are hoping they do after the email (close as a customer, fill out a form, schedule a consult, etc. ), don’t let them get away! This data should be used to make note of the customers who click on information in your emails and follow up with them if they do not complete the next step. Delivery and bounce rates are more important than you may think. This information lets you know if your contact lists are complete and up to date. Up to date contact lists are valuable to you so you know you are getting accurate data counts. If you have a low delivery rate or a high bounce rate, you need to make sure you are sending emails to the correct group of people or sending the emails the right way. Don’t lose out on bounced contacts because of a detail you could have easily fixed! Once you’ve gathered the data from your email blast, you can then analyze what you‘ve learned to create and send more effective emails. For example, if the majority of your contacts open their emails at 9 AM, try sending close to or a little before that time for the maximum email opens. 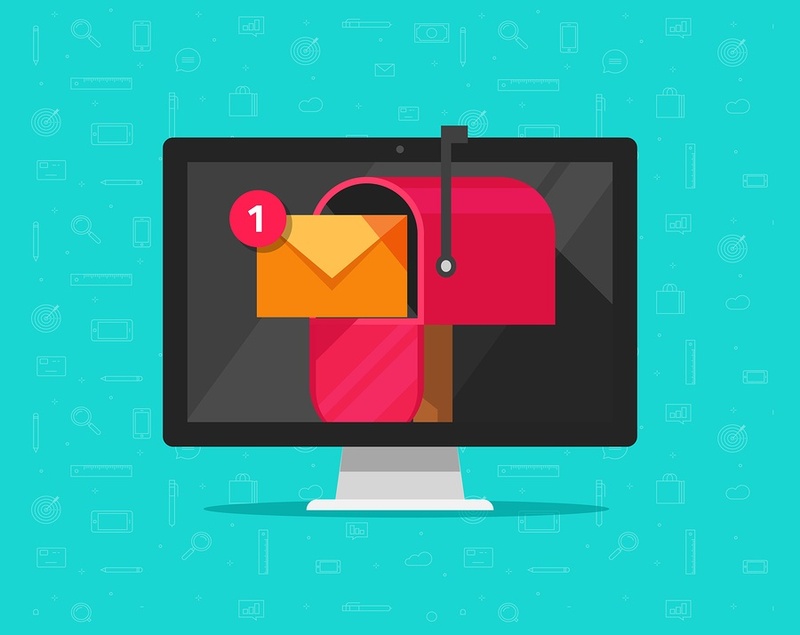 As another example, if your open rate is high, but your click through rate is low, maybe consider the topics you are putting into your emails. What is the disconnect between the subject line and the actual content of the email? Try to figure out what causes your contacts to open the emails but not take any other actions. Maybe you need a stronger call to action. Maybe you need to make sure your content matches the subject. Maybe you need to rework your buyer persona. However, the good news is you have the data that tells you that you are gaining enough interest for your contacts to open the email. This means they want to hear what you have to say, you’re just not saying the right thing. By using the many pieces of data collected from your email blasts, you can analyze where you are succeeding and where you have areas for opportunity. Use this data analyzation to develop stronger emails to accomplish your goals. The good thing about reviewing the data you get from email sends is you can use it to follow up with contacts you may have just left alone in the past. When you review and analyze your email data, you may notice you have some contacts who opened your email and clicked on your call to action, but didn’t continue after that. This contact was interested enough in what you had to offer but for whatever reason, did not complete the pathway. These contacts provide you a great opportunity to follow up with more information, reminder emails, or a phone call depending on the nature of the original email. For example, let’s say your company sends out a weekly newsletter and uses this week to announce a new subscription service you offer. You see that a good number of your contacts signed up for the free trial of the service. However, you also notice that there were a few who are signed up for your newsletter, but are not customers and although they clicked on the free trial link, they did not sign up. These people present the perfect opportunity to send an additional email with more information about the service. This could ease some of the friction they experienced at the sign up form and possibly give them the incentive they need to close and sign up. By using the data to see they clicked but did not sign up, you have a second chance with potential customers who may have slipped away if you had just sent the email and forgot it. Finally, email data should also be used to clean up your contact list. Maybe you have lists created that are not receiving the correct content. Maybe you have old contacts who for whatever reason are not customers or do not need to receive emails and they’re skewing your data. Or you could just be sending emails out to your entire contact list when it would be better served to segment your contacts and send more targeted information. Whatever the issue is, you can use the data you collected to clean up your contact data and ensure the correct people are receiving the correct information. This will be beneficial both to you and to your contacts. Once you have learned how to use the data you collect from emails, you can get greater value from the email blasts you send out to contacts. By using this data, you will be able to use these emails as a way to get to know your contacts better and further the relationship with interested leads. This will allow you to use your emails not only as a tool to communicate with your contacts, but also as a valuable part of your sales process as well.